I stubbornly refused, telling her that the waxing and waning of my moods in many ways reflected my rhythm of making art. Some of my best work was created during the lows, some of it during the highs. And I was not going to mess with that. Here Are My All Natural Remedies for Depression and Anxiety What Are Yours? I wanted to feel passion and pain and joy and suffering. All of them. They’re an equally important part of life and I didn’t want to feel flatlined. While perhaps the people in my life might have felt otherwise, I’m grateful that my intuition back then guided me to refuse my doctor’s well-intentioned advice. I know far too many people who have succumbed to prescription meds for depression and anxiety, never to get off of them decades later. Medication was suggested to me again, when I had fibromyalgia, after my divorce, and then years later after my partner died. Again, I declined. Let me just say that this is by no means a condemnation of anti-depressants or the people who take them. I know many people who would say that medication saved their life. Literally. Especially Kapha-type individuals who often struggle with deep and long-term depression. We are all different and I can’t impose what has worked for me onto others. But I’ve thought a lot about this lately, as depression has peeped into my life here and there – especially after my partner’s death. It’s not a lay-around-the-house-unable-to-function kind of depression. Although I’ve experienced that phenomenon as well in the past few years, usually it’s a day or two here and there feeling blue and not wanting to be social. And it’s not an I-can’t bear-to-be-alone kind of depression. Along with the artist thing, I’m an introvert at heart and so being alone comes naturally. But I know the signs when I’ve let myself be solitary too long. And then, as if through mental telepathy, the friends who know me so well start to reach out and try to coax me from my cave. We are, after all, not meant to be solitary creatures. On my bike ride this morning I started to mentally compile a list of all the things that I’ve learned to turn to when I feel anxiety or depression knocking on my door. There are no drugs on this list. Not even any herbs. Nor foods that comfort me. Because, of course, potato chips, ice cream and Scottish shortbread don’t really help lift a depression. Instead, my list consists of activities I love. Some of them I’ve loved since I was a child and I think that’s a big clue for you to compile your own anti-depression/anxiety list. Riding my bike. I wrote a whole post about my precious pink bike. I can feel like crap, my emotions bouncing up and down, but when I hop on that bike and go to the river, it’s like the emotional storm dissipates and the sun comes out. Even when it really is about to storm (I got caught in a downpour last week), I feel good. Dancing – well, that just lifts me up even more. I didn’t dance for years and years. I was too shy. Now, most mornings you’ll find me with my headphones on, music blaring, dancing alone to my heart’s content. I tell you – it is the BEST depression/anxiety buster out there. Yoga/Qigong – even just a short 20 minutes, gets me out of my head and into my heart. Reading a good book. Especially fiction. I’ve always loved disappearing into another world via a good fat book. Even better if a warm blanket and tea and biscuits are involved. Meditation. My list would not be complete without this state of consciousness which we are all meant to experience daily, right along with sleeping, dreaming and being awake. Meditation did more for my insane anxiety than any little pill ever could. I went from someone who was terrified to get on an airplane to someone who comforts others around her when there’s turbulence. All thanks to meditation. Movies. Best in a theater, but even at home, a movie can get my stuck emotions moving like nothing else. When I’m feeling blue I intentionally pick a sad or happy or funny movie to get the tears or anger or whatever needs to go out the door. Nature. I think I saved the best one for last. Sometimes I have to physically force myself out of the comfort of my apartment to get outside and find some green (or even white, in the winter). The clouds, the trees, the water, the animals – they’re the perfect antidote when feeling blue. 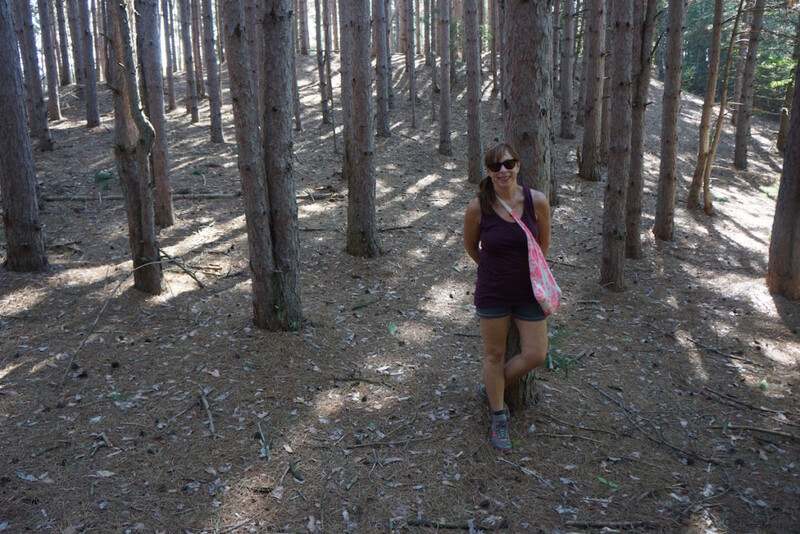 Standing in a pine forest is sometimes all the prescription I need. There are two things going on here that are key. One is movement and the other is stillness. Whenever there is depression there’s stagnation. Our Prana or life force is not flowing. Movement of any kind helps clear out and recharge our chakras and get the prana flowing freely again. Stillness, on the other hand, is just as important. Running away from uncomfortable feelings without first sitting with them and asking questions is a dangerous habit and will only drive those feelings deeper into our very cells. And when there’s anxiety, Vata dosha, which rules the nervous system, needs calming. Years ago when I was terrified of flying, I finally succumbed to anti-anxiety medication. 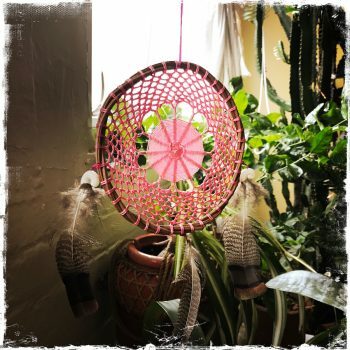 But I was still so wound-up in flight that the drug only heightened my anxiety and when I reached my destination I would be so tired I couldn’t function. Only when I started to meditate did this anxiety finally start to subside. It is equally important to learn how to be in darkness as it is to be in the light. The reason I am grateful that I resisted taking antidepressants is that living through those tough times without being drugged forced me to experience that aspect of life. I learned so much about grief and death and loss and change that I might not have had I just started popping pills. Coincidentally, my first issue of The Sun magazine arrived with a timely article by Tim McKee titled “The Geography of Sorrow – Francis Weller on Navigating Our Losses”. How did this become about grief all of a sudden? Well, because I think that depression almost always bears an element of grief. Grief over the loss of a loved one, a marriage, a home, or a job, just to name a few. 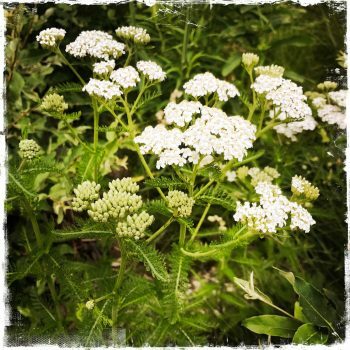 While I didn’t include herbs on my list, they have in the past and still in the present play an important role in my healing. Herbs are food and food is medicine.There are so many safe and amazing herbs that can calm our nerves and lift our moods. 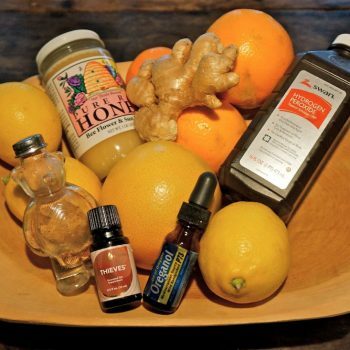 I have studied and learned a great deal about Mother Nature’s remedies. When I had fibromyalgia, St. John’s Wort was a lifesaver. It helped curb the pain and let me sleep, and it helped me stay positive and out of self-pity. And even humble chamomile is an incredibly effective nervine. But I always remember what my Ayurveda teacher, Maya Tiwari taught us. That sticking to a healthy daily routine complete with sadhanas (daily spiritual practices) should always come first before reaching for a herb to bring us back into balance. And I love the fact that doing something I cherished as a child can often chase away my blues or anxiety. That’s my short list of truly natural antidepressant/anxiety remedies. Do you know what yours are? Products I Use and Recommend On Sale!